The 2019 BA & BFA Exhibition opens Thursday at the USM Art Gallery, on the Gorham Campus, through Wednesday, May 1. Swing through to see thesis exhibits by Senior Seminar students and join them to celebrate at the Opening Reception: Thursday, April 18, 6:00 to 8:00 p.m.
Thursday afternoon, 4:30 p.m., Professor Sue Shon presents a Faculty Lecture Series, “The Aesthetic Afterlives of Slavery: Racial Surveillance and American Visual Culture,” in 211 Wishcamper, 34 Bedford Street, on the Portland Campus. Also that evening on the Portland Campus, the Maine Model United Nations Conference invites you to their annual gala, 5:30 p.m. to 8:00 p.m., in the University Events Room, 7th floor of the Glickman Library. The gala helps fund scholarships for high school and middle school students that participate in MeMUNC each May. Tickets: $25/person, $40/couple cash or check at the door. 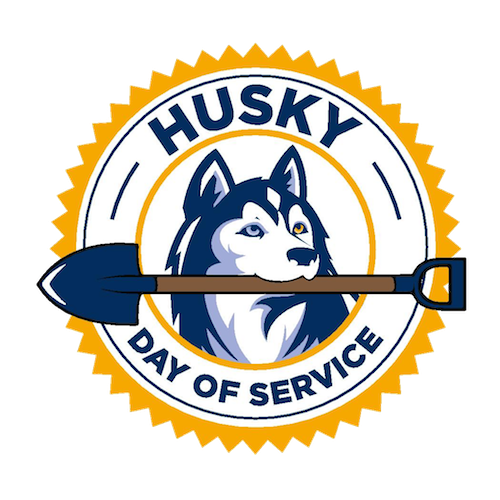 USM students, faculty and staff members will give their time and effort to community service projects at 25 sites across Greater Portland and Lewiston-Auburn on Friday for the 10th Annual Husky Day of Service. Saturday afternoon on the Gorham Campus, at 2:00 p.m. (and Sunday at 5:00 p.m.), Opera Workshop will take you on a ride through time and space, celebrating Bernstein's Centennial anniversary at Corthell Concert Hall. Later that evening, at 8:00 p.m., the 42nd Annual Honors Recital, will honor student excellence in undergraduate solo performance. 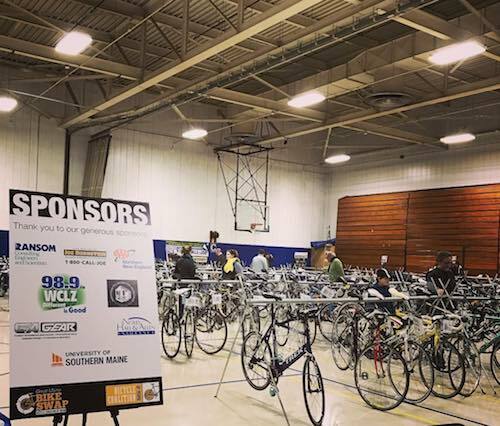 On Sunday, USM co-hosts the Great Maine Bike Swap with the Bicycle Coalition of Maine, 10:00 a.m. to 1:00 p.m., at USM Sullivan Gym, on the Portland Campus. This annual event is a great way to buy, sell, or donate quality used bicycles! The Southworth Planetarium calendar is jam packed with shows to help you take a break from it all! Monday starts with "Earth's Wild Ride/Great Planet Adventures," at 11:00 a.m. and ends with "Laser Hypnotica," at 8:00 p.m., with six other shows that may strike your fancy in between. Tuesday evening, 5:30 to 7:00 p.m., Special Collections hosts a presentation by author, Allen Young “From Stonewall to Maine: The Early Days of Gay Liberation and the Digital Preservation of the Rich History of Our LGBTQ+ Community,” in the University Events Room, 7th floor Glickman Library, on the Portland Campus. In Gorham that evening, see the USM Jazz Ensemble, Chris Oberholtzer, director, starting at 7:30 p.m., at Corthell Concert Hall. On Wednesday evening, 5:15 p.m. to 6:30 p.m., an Overdose Prevention & Response Training takes place in Payson Smith Room 303. This training is designed to educate and assist people with the skills needed to effectively identify and respond to an opiate overdose. No medical or professional experience or background necessary. Also Wednesday evening, 7:00 p.m., head to One Longfellow Square in Portland to see the USM Jazz Combos Concert. Don't miss Boston-based Visiting Artists, "Transient Canvas," Thursday on the Gorham Campus. 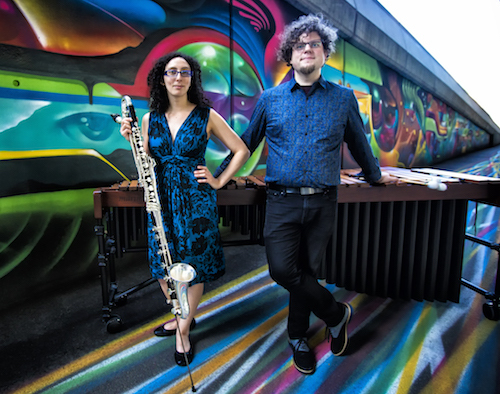 The duo, featuring their electroacoustic music on bass clarinet and marimba, will be offering a free Master Class, 11:00 a.m. to 2:00 p.m., as well as an evening concert, 7:30 p.m., at Corthell Concert Hall. On Friday, April 19, more than 200 USM students will present a wide variety of research projects at the annual “Thinking Matters;” five students will also present TED Talk-style presentations, "Lightning Talks,” from 12:00 Noon to 1:00 p.m. In Gorham April 19, the Department of Theatre kicks off the show of the final show of the season! Get tickets now for "The Foreigner," running Friday, April 19 through Sunday, April 28. To see ALL events happening at USM, please go to USM's Calendar of Events, and check the Southern Maine Huskies calendar for upcoming games. Please make the USM Calendar first on your event to-do list - it’s the go-to place for everyone (even off campus) to find out what is happening on our three busy campuses. Whoever manages your department website, just needs to add your events there, PLUS when posting, also click "cross-post to the USM Event Calendar." More event promotion help can be found on the Public Affairs website, and CMS Training is ongoing monthly, bookmark the schedule.